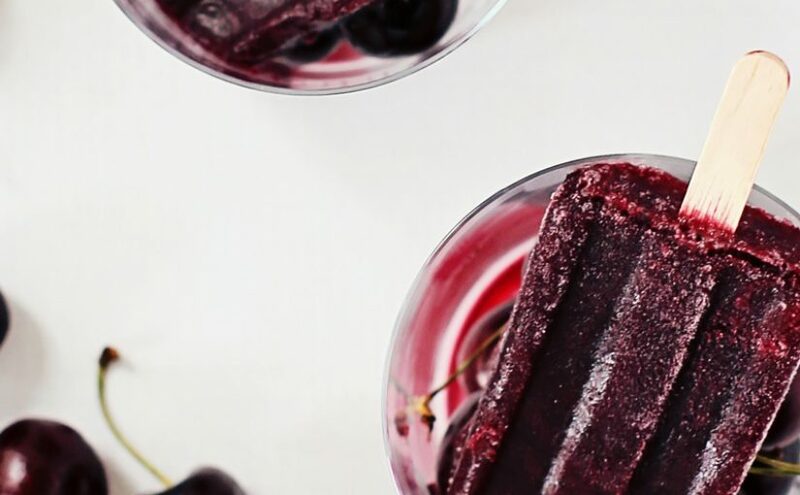 Combine the merlot, cherries and simple syrup in a blender and blend until completely smooth, about 30 seconds on high speed. Divide between 9 popsicle moulds. Insert sticks and freeze completely for about 6 hours. Run the moulds under hot water to release “winesicles” and serve immediately.